Last year, The Salvation Army of Lee, Hendry and Glades Counties impacted 71,334 lives. We offer a wide variety of outreach services ranging from help with utility bills to residential substance abuse program for men and a residential program for families and women. How did 170 employees accomplish so much? With the help of 4,493 volunteers who served 25,923 hours! 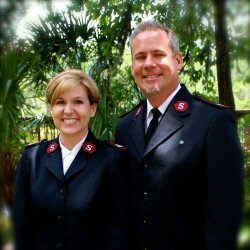 Majors Tim and Cheryl Gilliam oversee all programs (both social services and ministry) administered by The Salvation Army in Lee, Hendry and Glades counties. Salvation Army officers for nearly 20 years, Majors Gilliam have served as Corps Officers (pastors) in Texas and Area Commanders in Waco, Texas. They have also overseen divisional youth services in Maryland and in West Virginia. Prior to their move to Fort Myers, the Gilliams served four years in St. Petersburg, Florida, where Major Tim was Area Commander and Major Cheryl was the Corps Officer at the St. Petersburg Citadel. Majors Tim and Cheryl, and their three children – Jacob, serving as Salvation Army corps Assistant in Tyler, Texas; Ashleigh, a freshman at Florida Gulf Coast University; and Michael, a seventh grader – are enjoying this time in Fort Myers and Southwest Florida. Welcome Lts. Christopher and Elyse Doborwicz and daughter Everely! Would you like a speaker at your next meeting? The Salvation Army Speakers’ Bureau provides a terrific way to learn how we provide services in our community. Get information on how your business or organization can get involved. Salvation Army speakers come to your business/organization to share their personal experiences and stories and the results of our work. Take a tour and visit our Social Services facility and see first-hand the services we provide. By inviting The Salvation Army to your meeting, you can help us involve more people in Doing the Most Good. For more information, contact Kris Volpone at (239) 278-1551. Please be sure to include your phone number and/or e-mail address if you would like to be contacted regarding your inquiry. Prayer Requests: We would be honored to pray for you! If you would like to receive a prayer card from The Salvation Army, please include your mailing address. The Salvation Army is so much more than our iconic Red Kettles. If you haven’t toured to learn about our services, consider joining us soon to see a portion of our life-changing services. We conduct monthly tours from 10:30-11:30 a.m. If the first Friday schedule does not work for you or for your group, we will tailor a tour to meet your needs. For information on how you can help our residents, please contact the Development Office at (239) 278-1551. The joy of opening a gift on Christmas is a feeling we can often remember for a lifetime. The hurt a mother may feel from being unable to provide that joy may last a lifetime as well. After being laid off just before the holiday season, a mother is more focused on putting food on the table rather than gifts under the tree. This is the reality that many families have during the holidays. Falling on hard times holds no prejudices, it can happen to anyone at any time. Thankfully, The Salvation Army understands this and has been able to aid those families during Christmas. A mother who needs assistance could call The Salvation Army and register for help. These are the kind of stories many at The Salvation Army hear during the holiday season and throughout the year. Families falling on hard times and are faced with the reality that Christmas gifts may not be a possibility. The Salvation Army’s Christmas programs help bring hope to discouraged parents and joy to local children. Local churches, organizations, and work groups hosted an Angel Tree that helped donate 30,000 gifts to disadvantaged children throughout the holidays and ring bells at our local kettles to help advocate change in the community throughout the year. Christmas is a holiday indicative of the phrase tis better to give than to receive. Volunteers, the life-blood of The Salvation Army, take that phrase to heart. Over 6,800 hours were provided by local volunteers to help make Christmas possible for 4,459 children in our communities. Those that volunteered at the Christmas Cheer warehouse also put their time in at The Salvation Army’s iconic Red Kettles. The Kettle campaign is the single largest fundraiser for the year where many volunteers sign up to ring the bells. Funds raised during the Red Kettle campaign go toward funding the various programs that help support our community year-round. Programs such as its family shelter unit that helps women and children in dire situations with a hand up. Empowering them along their journey back on their feet with life-skills coaching and rehousing initiatives. Helping find stable jobs and providing emotional and spiritual care along the way to champion their own lives. This year looked very different than years past. Faced with starting bell ringing two weeks later and nearly $100,000 down, The Salvation Army needed a large rally of time and generosity in order to overcome the deficit and continue to serve its communities in the same capacity. Many of those that were once assisted by The Salvation Army give back with their time and efforts that they were once so freely given. Volunteers and generous donors responded bringing the Kettle campaign’s final number to $676,916. “It’s our volunteers that make this all possible,” said Eric Lane, Kettle campaign coordinator. “As our volunteers were finding out of our deficit whether through the news or word of mouth, we saw many of them put in even more effort than they already had!” Many volunteers who normally volunteer two hours of their time to ringing bells during the holiday season now contributed four. Those that typically donated four hours were taking full days at a kettle stand. Local fire districts began ringing at kettles this year. While doing so the local firemen challenged other fire districts to do the same. “Calling” each other out via social media and challenging them to ring for any amount of time possible. 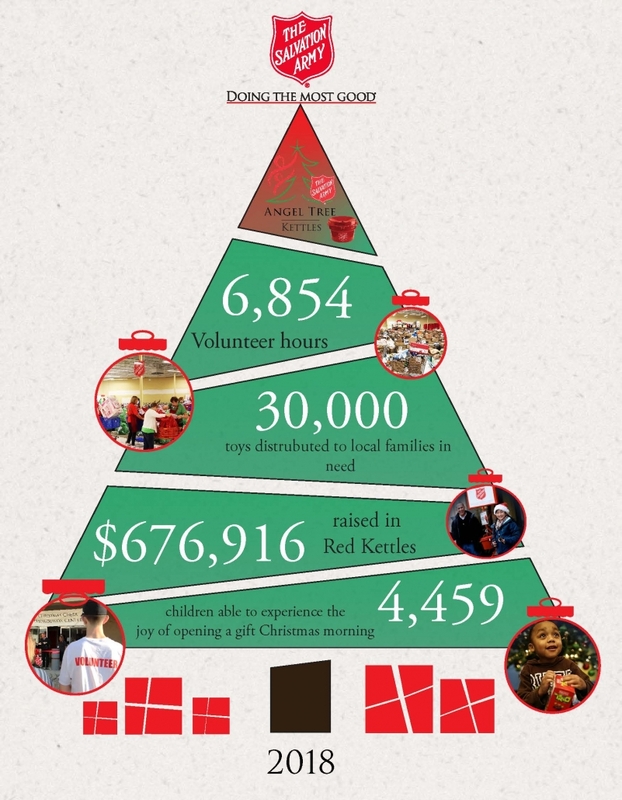 The Salvation Army is very visible during the holiday season. Its work continues long after the trees are taken down and the kettles are stashed away. The impact is seen in our local communities through The Salvation Army’s various programs. Its family shelter, out-reach programs, Meals with Compassion, Crossroads men’s rehabilitation program, emergency disaster services, just to name a few that are helping people overcome obstacles in their most difficult hour. Providing a light when darkness seems to be closing in and families can experience not only the joy of Christmas, but the joy of life throughout the year. As the young boy peers around the corner, his eyes wide open in excitement as he sees what is in front of him. He runs back to his bedroom and wakes up his younger sister who rockets out of bed to see what the excitement is about. The two dart into their mother’s bedroom waking her from a peaceful sleep as she slowly opens her eyes. She can feel her children’s vibrant smiles and it warms her heart knowing she was blessed with this opportunity. She slept well knowing that her children would experience this joy. She felt gratitude knowing The Salvation Army was there to help when she fell on hard times. such as a job layoff, a house fire, an illness, or an injury can set a family back. We may be able to help by providing crisis services such as emergency FOOD and CLOTHING, assistance with UTILITIES, as well as referrals to other community resources to help families and individuals meet basic needs. Are you behind on rent payments due to a crisis? Now through June, 2017, we have a program that may be able to help. If you have a child in the home, reside in Lee County, and are behind on rent due to a provable crisis, please call (239) 628-1415 on Fridays from 8:00 a.m. – 12:00 p.m. (noon). Leave a message with your name and phone number, and we will return your call to discuss your options and eligibility. Our Outreach Service Center is located at: 2476 Edison Avenue in Fort Myers. Malaysia happily plays in her new back yard, which includes a huge mango tree. Sometimes the laughter of a child is exactly what is needed to make a house a home. That’s what happened when the keys to Lakeshia Boyd’s rental house were turned over to her. Lakeshia, the mother of two small children, was homeless and, as a last resort, came to The Salvation Army for help. After living in the shelter for a few weeks, a house became available, and it was offered to the family. The furnished house was perfect for the three-person family, but the best part, according to three-year-old Malaysia, was the back yard with her very own mango tree! As Lakeshia put away food and sundries in her kitchen, she could hear Malaysia laughing and watch her picking up mangos from beneath the huge tree. Gabriel Falk, property manager from That Sweet Rental, hands over the keys to Lakeshia Boyd. Boyd is holding her daughter Malaysia, and daughter Azriah is in carrier on porch. The Salvation Army works with local realtors to provide housing and connect the family with other organizations as needed. Donations of money and goods are needed to assist these families who come from The Salvation Army shelter and, therefore, have little or nothing when they are placed in their homes. A list of needed items is to the right. For information on how you can help, contact us at (239) 278-1551. Hendry County – 994 INDIVIDUALS received food bags. The food pantry is housed at our Outreach Service Center (2476 Edison Avenue, Fort Myers 33901). We try to help everyone who comes to us for food or referrals to to other services at The Salvation Army or elsewhere in the community. Our pantry distributes food on Tuesdays from 9:00-11:00 a.m. and from 1:00-3:00 p.m. Food includes portion-appropriate canned and dried food, perishables such a meat, bread, produce and pastries. Clients may come in Monday through Friday during open hours to help themselves to any bread and produce that is available. The pantry is in need of any type of canned (pop-top lids when possible) or packaged foods (especially meat, sauces, dried beans and rice, peanut butter and jars of baby food). In addition hygiene items such as diapers, laundry soap and bath items as well as metal can openers are also welcome. The pantry is largely supported through the work of volunteers who help manage and distribute the food. Meals With Compassion Anyone in the community who is hungry is invited to dinner at our Outreach Service Center (2476 Edison Avenue, Fort Myers 33901). Dinner is served every evening, seven days a week, from 5:00-7:00 p.m. Meals are donated by local restaurants or they are cooked in the kitchen of our Red Shield Lodge. Last year, volunteers served an average of 674 meals per week. Diners have access to a shower station. Because of this, single-use-sized shampoo, soap, toothbrushes and toothpaste, razors and feminine hygiene items are needed. You Can Help! We need individuals and groups who to help serve and/or prepare meals and bring them to our location to be served to our dinner guests. This is an incredible hands-on opportunity to truly serve our neighbors in need. Church groups, civic organizations or businesses can support the program on a regular basis, adopting a day per month or quarter to help us help others throughout the year. To learn more about these and other community service opportunities contact our volunteer coordinator at 239-278-1551. To see if you qualify for assistance, please call and leave a message on Tuesdays from 8:00 a.m. – noon at (239) 628-1417. This is a first-come, first-served service and it does require documentation of certain items. If you qualify for assistance, we will call you (within 48 hours) to schedule an interview. If you have questions about eligibility or what documentation you need, call our receptionist at (239) 334-3745. We assist families with verifiable emergencies with both clothing and furniture vouchers to use at our local Family Thrift Stores. To quality, you must have verification of an emergency. To see if you qualify, call the Outreach Service Center at (239) 334-3745 to set up an appointment. We accept walk ins on Wednesday-Friday. Donate clothing to our Family Stores. For information, contact the Community Relations Office at (239) 278-1551. With proper resources, shelters provide the range of protection and support services necessary to help people regain independence. improved quality of life for clients. The Salvation Army shelter is called the Red Shield Lodge, and homeless women and families find a safe place live within its walls. While in residence, clients are given the life skill tools necessary to lead self-sufficient lives.The Red Shield Lodge is within the Social Services Center at 2400 Edison Avenue. Single women, women and/or men with children, and families reside at the shelter up to 90 days depending on the progress they make toward their individual goals. Our social workers help residents identify barriers to independence and provide guidance to obtain success in those areas. This includes life skills classes, employment assistance, case management, and connection to community resources. Clients meet regularly with our staff to determine their goals and staff members help clients create individualized action plans. If you or someone you know is in need of our shelter services, please call (239) 334.3745. Please bring items to any of our locations. The Salvation Army provides, through the We Care program, a variety of healthcare – medical and dental – services through the collaboration of qualified volunteers and staff. We Care is a partnership between The Salvation Army and the United Way, with support from community agencies and local dental and healthcare providers. We Care offers both comprehensive specialty medical and dental care services. We Care is Lee County’s only resource for limited, no-cost care. We Care is a medical specialty referral and case management program. Medical care is provided by physicians and other healthcare professionals who provide their services voluntarily. Healthcare services are provided to patients who are between the ages of 19-64 and who meet specified guidelines. Providers of these specialty healthcare services are protected by sovereign immunity, as defined in section 766.1115, Florida Statutes. uninsured and not eligible for any source which would pay for the needed services (i.e., vocational rehabilitation, workman’s comp, litigation, VA, Medicaid, Medicare, etc.). primary care, second opinions, motor vehicle accidents, injuries or illnesses that occurred in other states or countries, cosmetic surgery, disability or disability claims, epilepsy, screenings, worker’s compensation claims, pregnancy, infertility, birth control, litigation cases, substance abuse, elective surgery, any chronic illness such as hepatitis, HIV/AIDS, Chron’s disease, Alzheimer’s, pain management, emergency room or ambulance costs, or medical expenses already incurred. We Care is not an insurance agent and does not pay providers. Cases must be referred by a primary care physician, clinic, or other medical facility. Made possible with the generous support of Ron Gardner, M.D., and Gardner Orthopedics, the Dental Clinic allows the Salvation Army greater opportunity to reach those who most need free dental services. The clinic is located at 3033 Winkler Avenue in Fort Myers (33916). Before getting an appointment, those seeking dental care must first be evaluated at our 2400 Edison Avenue location. Evaluations are by appointment only. Call (239) 628-1454. Dentists or hygienists who would like to be part of the We Care Dental Clinic should contact Health Services Director at (239)334-3745. Primary Care services provide treatment of minor illnesses to uninsured individuals who are homeless. Services include, but are not limited to, physical exams, x-rays, medications and sub-specialty care referrals. Care is provided by licensed healthcare providers in collaboration with Family Health Centers of Southwest Florida. Healthcare for the homeless educates and empowers patients to have an active part in their health and well-being. This initiative also reduces the need for patients seeking non-emergent medical care in the emergency room. This comprehensive healthcare approach increases the likelihood that clients will be better equipped to enter the mainstream society. Our Medical Respite Unit (MRU) provides shelter while a client is recovering from an acute medical condition. The Salvation Army MRU provides homeless men and women with a no-cost, safe, and healthy environment to recover and heal from acute medical illnesses. Medical care, housing, transportation and meals are provided at no charge while the client successfully recuperates and participates in his/her “Plan for Living” and progresses toward obtaining employment, income and permanent housing. To be admitted to the Medical Respite Unit, one must be homeless/indigent with acute medical issues. Primary admission preference is given to those patients referred through Lee Memorial Health System (our community partner). Patients must be alert/oriented, medically stable with the need for recuperation, not using narcotic/pain medications and must be mobile (may have use of assistant devices). All patients must have a background check for clearance prior to admission. Questions? Contact The Salvation Army Health Services Department at (239) 334-3745. Crossroads Adult Rehabilitation Center provides spiritual, social and emotional assistance for men who have lost the ability to cope with their problems and provide for themselves. Crossroads offers residential housing, work, plus group and individual therapy in a clean, wholesome environment. Crossroads Adult Rehabilitation Center is unique in terms of length of program. The commitment at Crossroads is 26 weeks. This longer-term recovery process gives each participant a better chance at changing habits and building better lifestyles. The work program at Crossroads supports The Salvation Army Family Stores, which fully funds Crossroads. Family Store work activities include collection and repair of donated items for the stores. Restored materials are then sold at moderate prices. Crossroads participants also help staff the stores. For more information about Crossroads, please contact us at 239-334-3745. To reach and serve as many people as possible, The Salvation Army of Lee, Hendry and Glades Counties has service centers in three outlying areas: Bonita Springs, Clewiston, and LaBelle. Hours: Monday-Friday 9:00 a.m. – noon; 1:00 p.m. – 4:00 p.m.
Food Pantry (Thursdays) – Families and individuals may come once a month for food bags (dry and canned goods) and frozen meat from Harry Chapin Food Bank and community donations. We ask each household to complete an annual intake documenting basic household information and verifying their income eligibility. Bread and Pastries donated by Public (Tuesdays) – We are grateful to receive a large quantity of bread and sweets from Publix on Tuesdays and invite our families and individuals to come any Tuesday for these fresh items. Diapers and Hygiene Items – We make small packs of diapers, wipes and hygiene items available as donations permit. Emergency Financial Assistance – To qualify for help with past due rent and past due utilities, individuals must show proof of a loss of income or verifiable crisis. The client then takes part in a full assessment and plan, referrals and case management. We use private donations and administer funds from the Care to Share FPL assistance program for emergency assistance and partner with other local agencies to meet the client’s needs. Baby Basics – We partner with Baby Basics of Collier County for distribution of diapers to families that have at least one adult working in the household and do not receive government assistance such as Food Stamps or Cash Assistance (Medicaid and WIC are ok). This is available for children 3 and under. Participating families come each month for a short educational lesson and receive a large box of diapers. Red Shield Academy – A long term self-sufficiency program with intensive case management for individuals ready to increase their independence and earning potential. ACCESS – The Salvation Army is an ACCESS Florida location and has a public computer available to apply for Food Stamps, Medicaid, Cash Assistance, etc. Assistance for the application and renewal process is available in English and Spanish. Prayer and Spiritual Care – As a church, The Salvation Army offers prayer and spiritual counsel to all clients, volunteers, donors or members of the community at large who request it. All services in our offices are offered to anyone who qualifies, regardless of their religious belief. 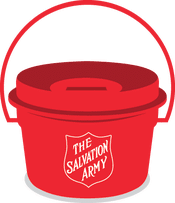 Click here if you would like to make a donation in support of The Salvation Army’s work in Bonita Springs and the surrounding areas. Emergency food pantry assistance available during normal business hours for Hendry County. Financial assistance with rent, utilities and prescriptions (on a limited basis) There is an application process for these services. Hours: Monday – Thursday, from 9:00 a.m. – 4:00 p.m.
Food Distribution (There is an application process for these services. Food Pantry for Glades County residents – 2nd Wednesday of the month, from 11:00 a.m.-1:00 p.m. at the LaBelle office. Emergency food pantry assistance available during normal business hours for Hendry and Glades counties at the LaBelle office location. There is an application process for these services. Family Self Sufficiency Program – available on a limited basis (please call for more information) provides case management for families. Christmas Cheer – toys for children in need in partnership with Toys for Tots. There is an application process for this service. Hours: Monday, Wednesday, Friday from 9:00 a.m. – 4:00 p.m.
No child should miss out on the joy a gift can bring. That’s why we need your help! Partner with The Salvation Army’s Angel Tree to bring families all over Lee County hope this Christmas season. The Angel Tree is a partnership with local businesses, clubs, churches and individuals who want to make Christmas bright for disadvantaged children. Through their generosity, thousands of children in Lee County will receive new toys, clothing and gifts for Christmas. Once toys are collected from the different partners, Salvation Army employees and volunteers sort and distribute gifts to families that registered for Christmas assistance through a screening process. Each angel represents a real child in our community who needs our help. Businesses, corporations, individuals, churches, clubs or groups – place an Angel Tree in a prominent location like a lobby. Request from us the number of Angels you want to adopt. We’ll deliver the Angel tags to you to adorn your tree! The Angel tags have a numerical code on them with the child’s first name, age, gender, clothing sizes, one toy wish and one clothing need. Your employees, organizational members, volunteers and/or family members choose one or more angel and shop for items described on the tag(s). The sponsoring organization collects the unwrapped gifts, makes sure the proper tag and code number are affixed to each item or bag with the gifts. You may deliver the gifts to The Salvation Army or we can schedule to pick them up. To host an Angel Tree (10 or more Angels), fill out the online form (below), or call (239) 278-1551. Stop by any of the following locations beginning November 5th to pick up angel tags and return the new, unwrapped gifts in the same fashion by December 12, 2018. For information, call (239) 278-1551. Your donations to our Family Stores lead to sales which fully fund Crossroads, our faith-based residential substance abuse program. Help us put people on the road to recovery. Furniture, clothing, housewares, appliances, antiques, collectibles, and more! You want it? We have it at a fantastic price. Have it but don’t need it? We’ll take it. Need to do some household cleaning but can’t bear to throw away a favorite sweater you don’t wear anymore or a comfy recliner you no longer have room for? We accept clean, gently used furniture, housewares, bedding, bikes, kitchen items, jewelry, clothing, electronics in working condition, tools, sporting goods, and cars, boats, motorcycles in running condition. When you donate your car to The Salvation Army, you’re helping us heal broken lives and assist individuals on the road to recovery. Your used vehicle will help change the road ahead for someone who’s lost direction. Proceeds from the sale of your donated automobile are used to help fund Crossroads, our addiction recovery program. Please call (800) SA-TRUCK (728-7825) or (239) 337-0955, and we will pick up your car, boat, truck, motorcycle or RV at no charge to you. When we pick up your vehicle, we will provide you with an IRS-approved receipt for your donation. Additional information will be mailed after your vehicle has been sold. To volunteer at our Family Thrift Stores. Call Kris Volpone at (239) 278-1551. 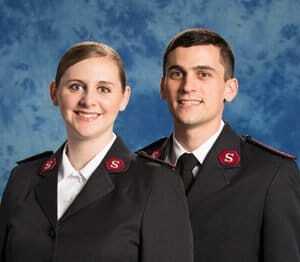 The Salvation Army is first and foremost a church, also known as a corps, located at 10291 McGregor Boulevard. The Salvation Army Fort Myers Corps is a loving, diverse, and inclusive congregation fulfilling the ministry of God in our community. This is accomplished through Biblical preaching, teaching, and serving in the name of Jesus Christ through the leading of the Holy Spirit. Please check your used title..
Wednesday evenings are for fun, growth and family fellowship! For more information about our Family Night, call Lt. Elyse Doborwicz or Taylor Truesdale at (239) 278-1551. A holistic Christian education experience for girls and boys in pre-k and kindergarten. The Moonbeam program supports physical, mental, and social development in a safe, age-appropriate, Christ-centered environment. A holistic Christian education experience for girls in grades 1-5 (Sunbeams) and 6-12 (Girl Guards). These programs help girls develop positive social and communication habits, decision making and life skills and gives girls tools to develop character and leadership skills. 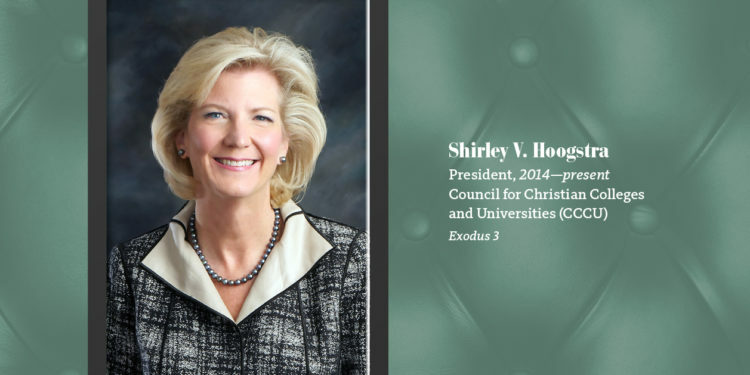 Programs encourage a sense of personal identity and character; Christian values and Biblical principles; physical, mental, spiritual and social development in a safe environment. Adventure Corps consists of the Explorer program (grades 1-5) and the national Ranger program (grades 6-12). Much like scouts, both programs are organized as individual troops and are led by volunteers and Salvation Army personnel. Adventure Corps gives boys an opportunity for personal growth spiritually, mentally, physically and socially, and increases boys’ understanding of service to others by exploring God’s word and God’s world. On Thursday evenings, we make joyful noise! 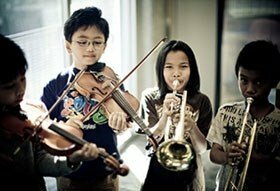 The Fort Myers Fine Arts Academy (FMFAA) offers music instruction for children ages 10-17. FMFAA offers a Fall and Spring semester. Dinner is provided at 5:30pm followed by music and creative arts classes at 6:00pm. For more information on dates and classes, please call Lt. Elyse Doborwicz or Taylor Truesdale at (239) 278-1551. The Salvation Army offers Men’s Ministries to address the unique issues of male identity, character development, and leadership. Men are welcomed and encouraged to exercise their integrity and promote well-being for themselves and others as they develop and employ important leadership skills. Our Men’s Club currently meets one Saturday a month and consists of fellowship meals, community-service projects, sports events and other activities. Our charity must be divine and focused on the soul. Sentiments of pity and acts of generosity towards man is sometimes done all without a spark of divinity in one’s heart. Or worse, it may be simply ..